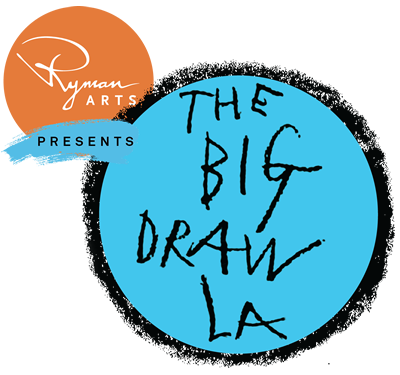 Pasadena Draws on the Big Draw LA on Saturday, October 29, 2016 11AM- 2PM. Join us at John Muir High Campus as the Arts Entertainment and Media Academy hosts a FREE public event along with Side Street Project. org, Light Bringer Project,.org the Armory Center for the Arts, and local artists and art providers. Everyone is encouraged to USE drawing tools to make meaning, and express their thoughts and ideas through multiple media. Paints, pencils, markers, printmaking, face painting, and a knitting machine will entice all who attend to participate in the day of celebrating IDEAS. Follow the mason line used to create a usable hammock to be strung between trees, and occupied by spoken word artists and performers. Take a risk. EXPRESS YOURSELF!